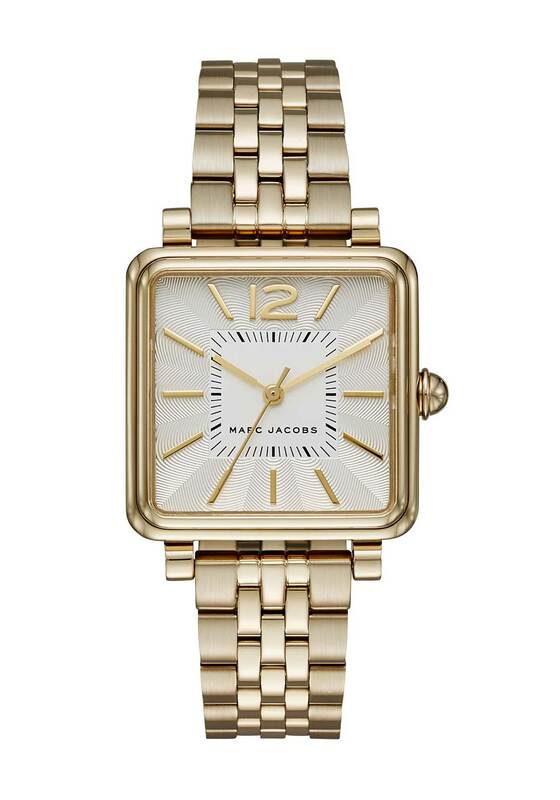 A stylish addition to your jewellery box, the gold plated Vic watch from Marc Jacobs would be perfect for day or night. 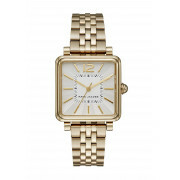 Designed with a bracelet strap and square case. Featuring hour markers, three hands and logo branding.